Hi friends! 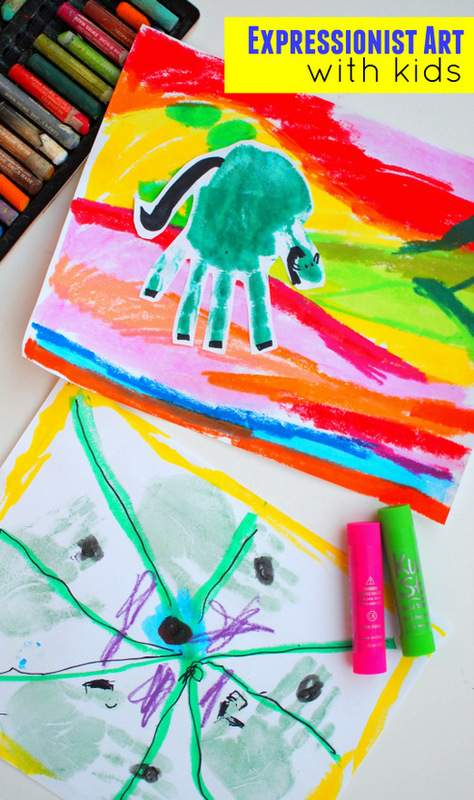 Today's art activity is a super easy one that involves looking at colors, emotions, animals, and making hand prints. It's such a great activity to do with kids of all ages! Today we're inspired by German Expressionist Franz Marc's Blue Horse Paintings. Hand Print Expressionist Art with Kids! Originally I got the idea for this activity from the awesome art book Modern Art Adventures. I thought it would be perfect for my preschooler and I to try out together because we could easily explore and interpret the painting together. This activity would also go great with Eric Carle's The Artist Who Painted a Blue Horse. After our very brief discussion, we got to work creating artwork that was inspired by the painting. I told him that we were going to first create a background and then add our own horses to the foreground using hand prints. We used oil pastels and kwik stix to first add color to our background drawing paper. Then, we made hand prints with our stamp pads. I cut the hand print out and glued it to my artwork and then added a horse mane and face to my "blue horse" using Sharpie Markers. I love his cute horse faces and tails! Ok. 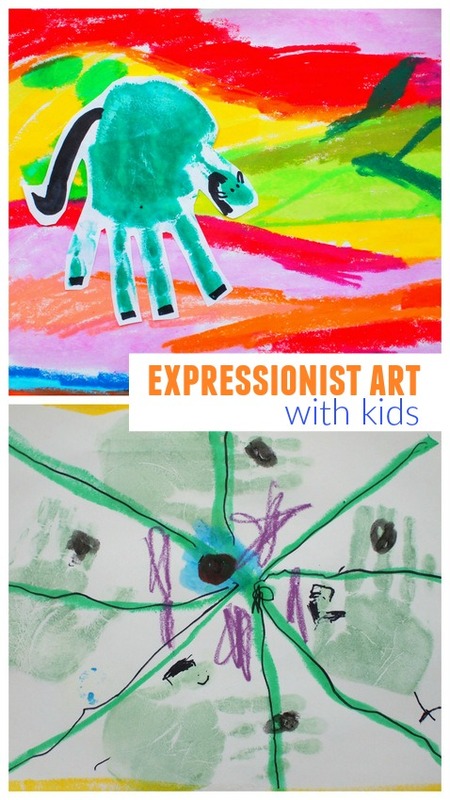 I hope you have a fun time exploring art with your kiddos! And if you're looking for other artist-inspired activities, check out the links below! And if you're looking for other great art books, check out these! Our 20+ Favorite Art Books!